Beiping Machine Tool adheres to the innovative thinking of "taking advantage of others, self-improvement" and adheres to the advanced reform concept, always based on honesty, dedication and innovation. The potential of Beiping will develop into a world-class manufacturer of precision tool grinding machines as the highest pursuit. Beiping, a company with great ambition, forge ahead, and scientific management, has made unremitting efforts to become a world-renowned manufacturer in the field of intelligent grinding and industrial robots with the spirit of advanced reform and the spirit of “integrity, dedication and innovation”! 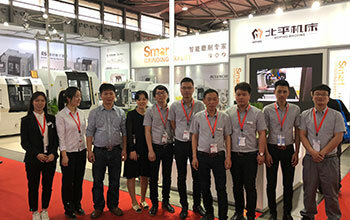 Beiping Machine Tool upholds the innovative idea of "learning from all the strengths and constantly striving for self-improvement", adheres to the advanced reform concept, and always takes honesty, dedication and innovation as its foundation. Beiping, which has great potential, will develop into a world-class precision tool grinder manufacturer as its highest pursuit.